The effects of Cold Laser Therapy (Low Level Laser Therapy) take place through photonic energy and do not initiate any thermal results. Erchonia's low level lasers emit visible coherent light, which is applied to the damaged area. Bundles of light energy photons pass through the dermal layers to the cell membrane, where they are received by specific energy photo acceptors. Photonic energy is then converted into metabolic cellular energy, resulting in altered cell membrane permeability. This causes physiological changes to occur through an enzyme cascade, which ultimately affects several biological processes. After treatment there's a measurable increase in enzymes and neurotransmitters such as serotonin, proving low level lasers initiate a physiological effect. Within the injured muscular-skeletal tissue, low-level laser therapy brings forth increase microcirculation, reduced inflammation and enhanced tissue regeneration. The overall effects include: decreased pain and inflammation, release myofascial restrictions, reduced edema, increased range of motion, and restored muscle strength as shown in this video. Unlike high power lasers that use heat and destroy tissue, low energy lasers affect the cellular energy of the underlying tissue. Hot lasers have a thermal effect and have an output of 1MW or above. Cold (or) Low Level Lasers do not have a thermal effect on tissue; lasers that stimulate biological function have an output below 10mw- milliwatts (ten- one thousands of a watt). What is 3LT - Low Level Laser Therapy? Low Level Laser Therapy (3LT) refers to the modality of applying a "low" energy or "low level" laser to tissue that stimulates cellular processes and thereby enhancing biochemical reactions. For example, studies show that LLLT increases ATP production in the mitochondria of the cell. Since more energy is now available, the cell may utilize this fuel to function or operate more efficiently. Many theories exist as to the mechanism of action for Low Level Laser Therapy (3LT) but simply put, photonic energy is absorbed by the photo acceptor sites on the cell membrane which trigger a secondary messenger to initiate a cascade of intracellular signals that initiate, inhibit or accelerate biological processes such as wound healing, inflammation, or pain management. Low Level Laser Therapy (3LT) has been successfully used to treat many conditions such as acute and chronic pain reduction, repetitive use disorders like carpal tunnel syndrome, soft tissue strains and sprains, inflammation reduction, enhanced tissue wound healing, and cell regeneration. There are over 1500 published studies and not one of them mentions any negative side effects of semi-conductor diode lasers at the 5mW range like the Erchonia 3LT Lasers. Low Level Lasers are safe, non-toxic and non-invasive, there has not been a recorded side effect in over 1500 publications. There are some necessary common sense precautions that need to be considered, such as avoiding pointing the laser beam directly into the eye and mandating it there, which could prove to be damaging to the eye. A laser can differ in its wavelength, power source or whether it is a continuous or pulsed waveform. The first lasers were used to cut, cauterize or ablate tissue and were classified as "hot' lasers. "Cold", "Low Energy" or "Low Level" lasers are used to enhance metabolic activity at the cellular level through non-thermal reactions. Light is measured in wavelengths and is expressed in units of nanometers (nm). Different wavelengths have different energy levels and can have various effects on tissue. 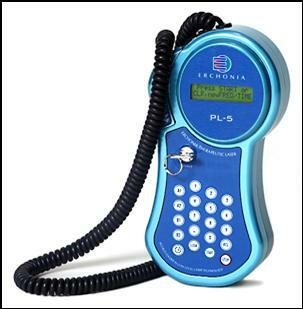 For example, the Erchonia 3LT Laser is 635 nanometers, which is found within the "red" spectrum of visible light (400-800 nm) and has anabolic tissue effects, whereas, radiation that has a wavelength shorter than 320 nm (ultraviolet (UV), gamma rays, x-rays) has ionizing effects on cells and can be harmful even in small doses. Lasers are monochromatic (single color wavelength), collimated (non-divergent) and coherent (wavelengths in- phase) in contrast, LED's are neither coherent nor collimated and generate a broader band of wavelengths (multiple). In addition, a significant difference between the two is the power output. The peak power output of lasers is measured in watts, while that of LED's, is measured in mill watts. Also, LED's usually have a 50% duty cycle, meaning that they are "on" 50% of the time and "off" 50% of the time regardless of what frequency (pulses per second) setting is used. Although it is not very well understood many theories have been postulated about the mechanism of action for low level lasers. Much research has been done in the areas of pain management, wound healing, and nerve regeneration, but little is known about the exact mechanism of action and the physiological changes occurring at the cellular level. In the literature, the three most often encountered theories are: Bioluminescence theory, Cellular oscillation theory, and Biological field theory.